Wool and Wheel: Lark Rise to Candleford. This is my latest BBC obsession. A friend of ours who is into BBC period dramas recommended it to me, and it's amazing. It's even better than a mini-series because there's nothing mini about it. It's like an actual TV show. Between the four seasons, there are somewhere around 40 episodes, and each one lasts an hour. So this series can keep you occupied for a long time! When I first saw Dorcas Lane (Julia Sawalha), above left, I automatically knew that she was Jessie Brown from another BBC favorite, Cranford. I felt so silly afterwards, but it took me forever to realize that she's also Lydia Bennet from the 1995 P&P! The Pratt sisters are really funny characters who are always wearing super extravagant clothes. They have to, because they run the dress shop. Everything about this series is gorgeous- the costumes, the scenery, music, characters, story lines, etc. Things don't always work out exactly how I want them to, but they always end in a hopeful way. I can't even begin to explain the plot, because every episode pretty much has its own major plot. It's sort of like Cranford. It revolves around the families living in Lark Rise, the small farming community (I think it's called a hamlet?) and Candleford, the nearby wealthier town. In other words, I love it. Little disclaimer: I've only seen seasons one and two so far. I'm hoping to get season 3 from the library and watch it this weekend. And then I'll get season 4 through Netflix. Even after watching just the first two seasons, I'm really wanting the complete series on DVD. But that's completely out of my budget right now, even though the price on Amazon just dropped about $30 (it's a little cheaper on eBay). 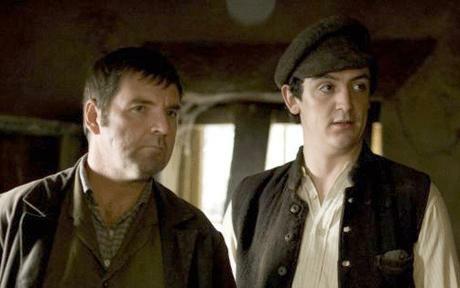 So...have any of you ever seen Lark Rise to Candleford? What do you think? P.S. I watched the first half of the 2006 (?) Jane Eyre mini series the other night and really loved it- I'm anxiously awaiting the other disc from Netflix! :) I'll post about it after I've seen it all. Yeah, I'm also watching this series. It's cool how they can make interesting episodes based in little things that happen in the village. 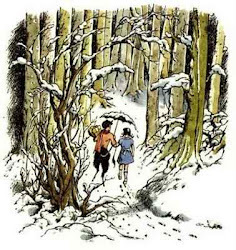 There are great characters, beautiful settings & wonderful music. I just have two problems: I ended up hating the judge guy, always whining about his problems, and Laura's facial expressions (you know, when she smiles and moves her head a bit like in a proud gesture). Anyway, this series is super fun! I LOVE Lark Rise!! I've watched all the episodes twice and could watch them all again! So sad that they did n't continue with more episodes! I also love "Lark Rise" it's one of those comforting shows I like to watch over and over, like Anne of Green Gables or Cranford-anything set in the past with people going through the daily rituals and finding little gems of truth and happiness along the way-keep watching-I think I will watch again today-it's rainy and I have a new cross-stitch to tackle! 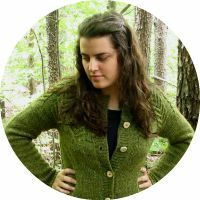 Kristin - I'm a new follower of your blog and I'm really enjoying reading it. Great posts on things I love too! I've been watching Lark Rise to Candleford, I just started season 3, and I love it too! I like how they introduce a new character almost every episode so it never gets boring. I didn't like the Christmas episode, thought it was a little creepy, but overall I love this show! Also I was a little put off by how they depicted the 'Christian' Thomas at first, but now he's one of my favorite characters!